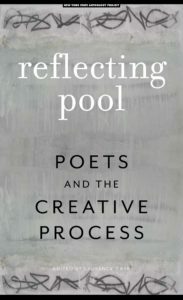 Reflecting Pool: Poets and the Creative Process is an anthology and short text book featuring twenty-five New York state poets who share their poems, along with short essays and exercises that speak about their approach to writing and how they nurture fellow poets of all ages in workshops, classrooms and through publishing. This poetry book is a grain of seed in light of the poet’s longing for warm human nature, and of her effort to restore it; it also bears her love for paper. A retired professor of creative writing, Shin Dal-Ja has written several poetry books, many of which garnered prestigious literary awards of Korea. For Paper, she won the Daesan Foundations’ Annual Literary Award. Cho Young-Shil is a recipient of several grants for her English translation of modern Korean poems and children’s novels. 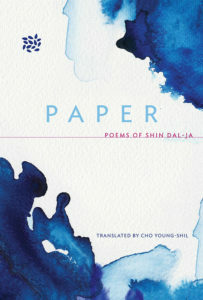 Paper is the fifth Korean poetry book she translated into English.